For my card I used the typewriter stamp from the 'keep in touch' set by Clearly Besotted. The snail is part of a bigger Penny Black stamp called 'garden visit' and the papers are 'mon ami' by Basic Grey. 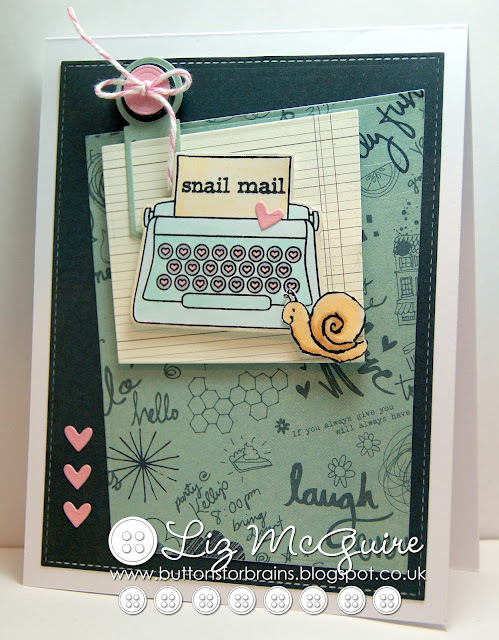 Great design Liz, oh how I miss snail mail! Fabby card Liz - great design. Lovely card Liz, I really like your imageand gorgeous papers to go with it too!